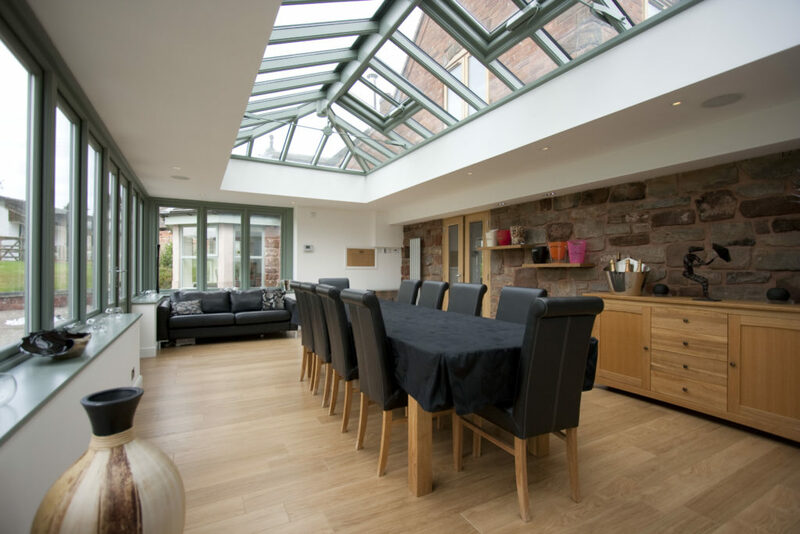 Let the light flood into your home with a stunning oak roof lantern – they’re a striking addition to any home. 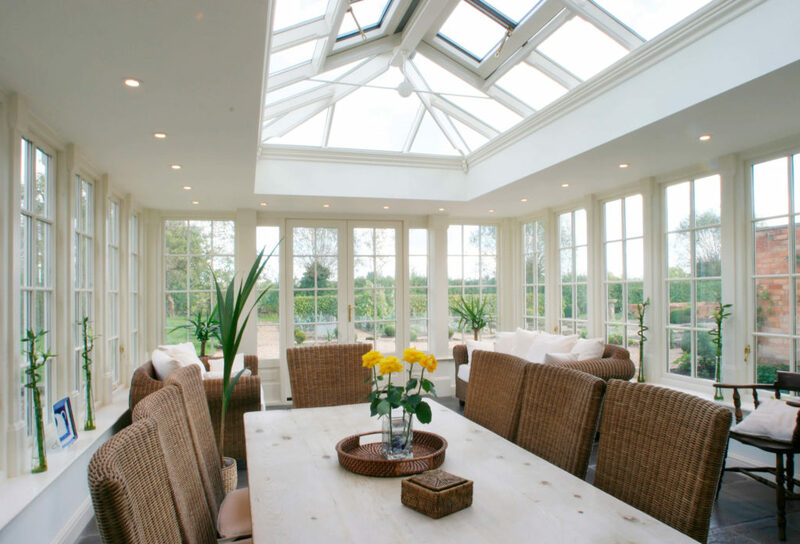 Made in our UK joinery, each wooden lantern is furniture grade and obtained from FSC-friendly sources. 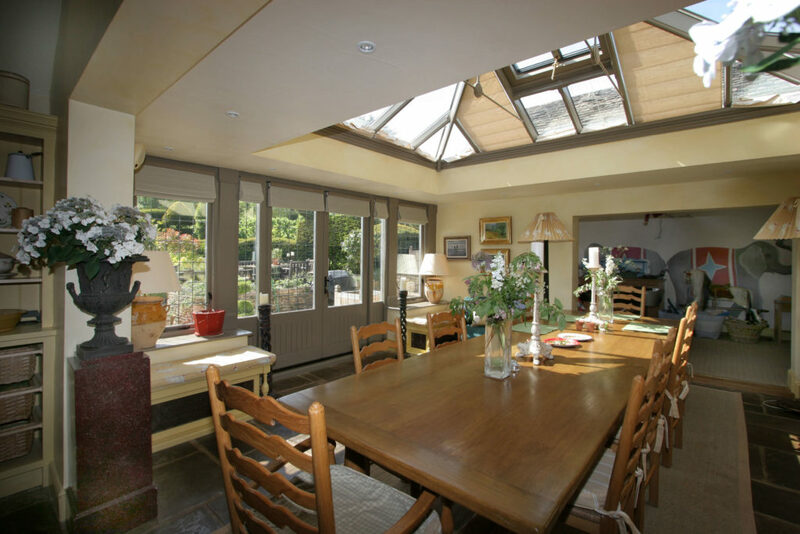 We thoroughly inspect each piece of oak wood prior to being selected for machining. 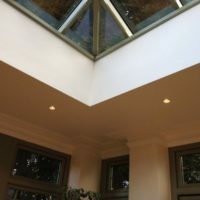 Why Choose a Prestige Oak Lantern System? 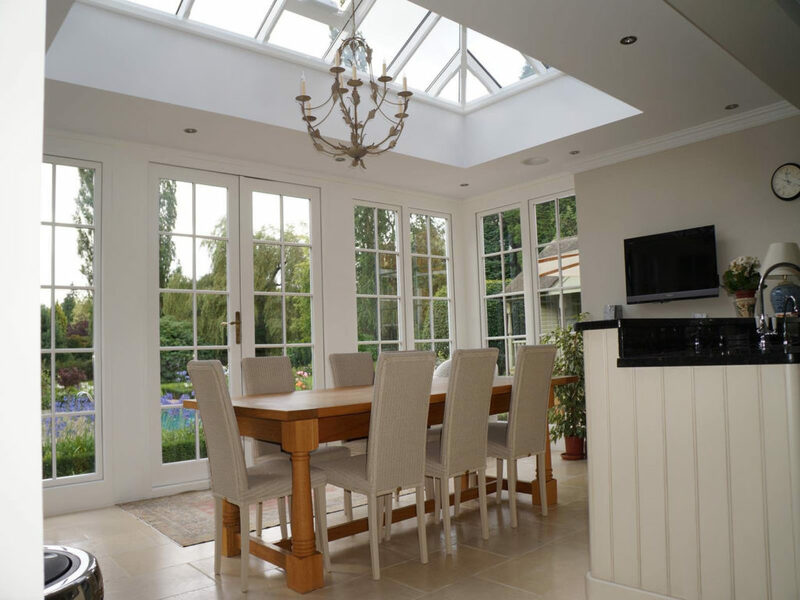 We’re an established joinery shop under the Country Hardwood brand. 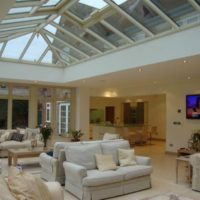 With years of expertise in the design & manufacturing industry we’ve delivered hundreds of products to customers throughout the UK. 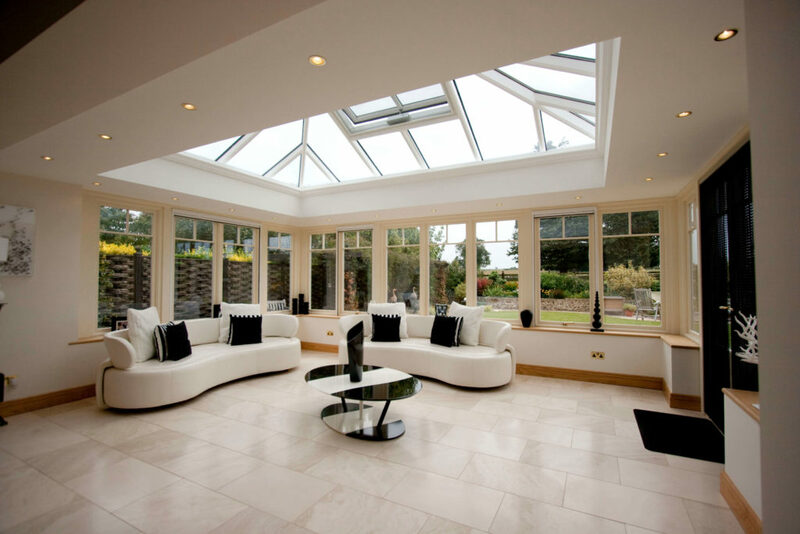 Our products are of exceptional quality and go through stringent quality control. 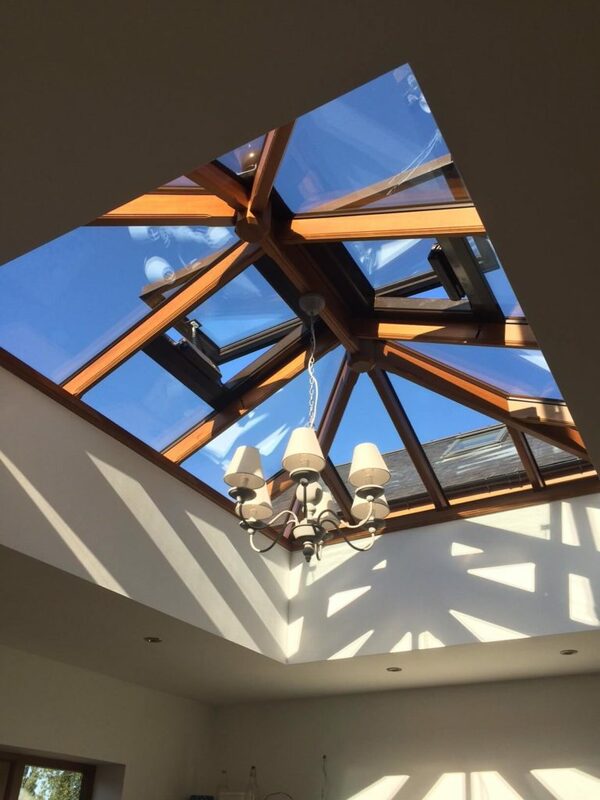 We use the finest Oak wood for the manufacturing process to create simply stunning Oak Roof Lanterns that complement any structure that they are integrated with. 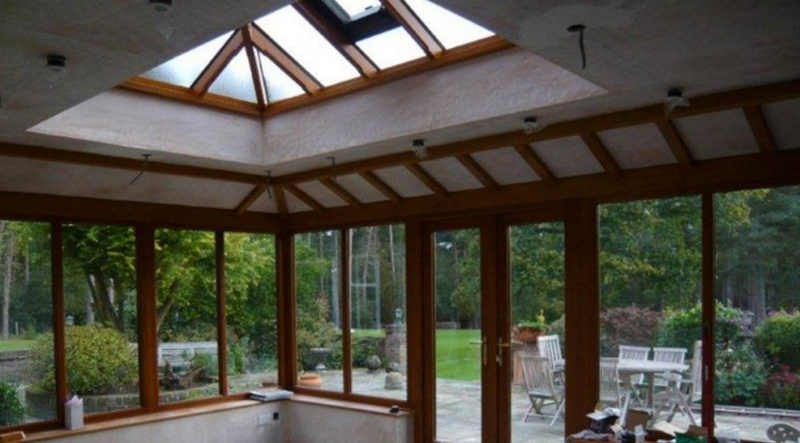 Oak lanterns can be used for new structures or can be designed to an exact specification for a replacement roof product. 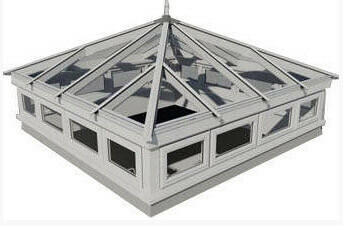 Our thin oak lantern roof is supplied with all the cappings which can be painted / powder coated to any RAL Colour / BS Colour. 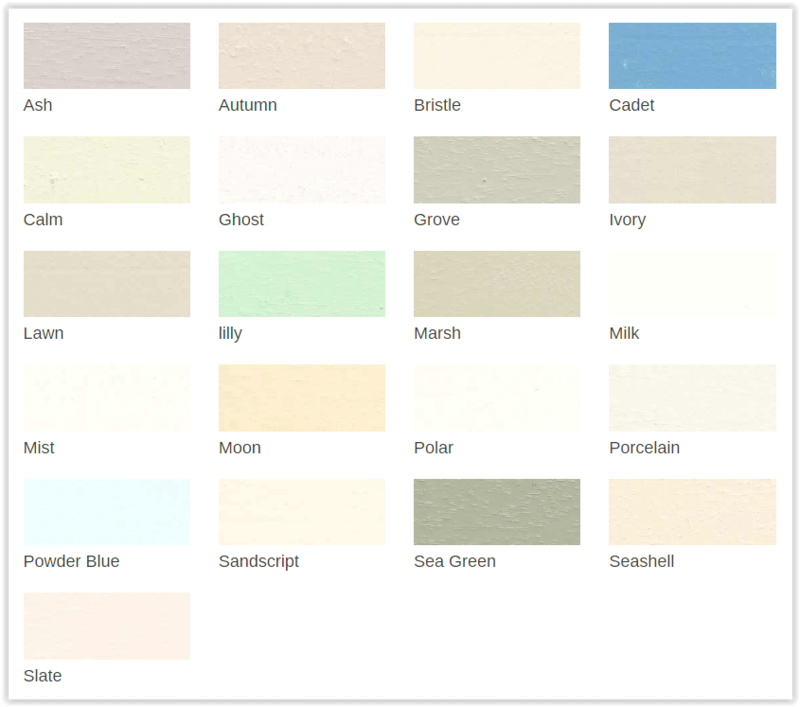 We offer a colour matching service should your product require it. 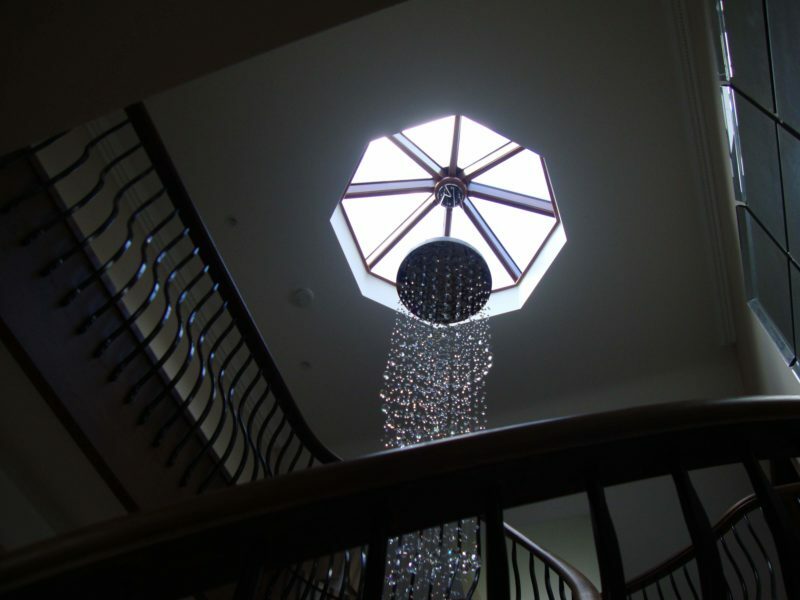 Your oak lantern can be designed to your exact specifications and style requirements. 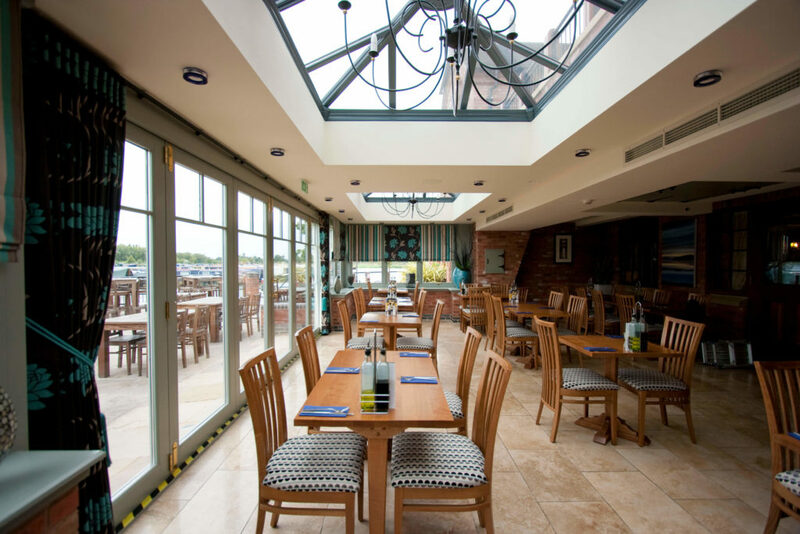 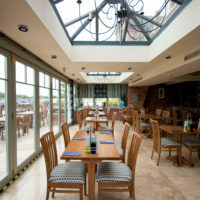 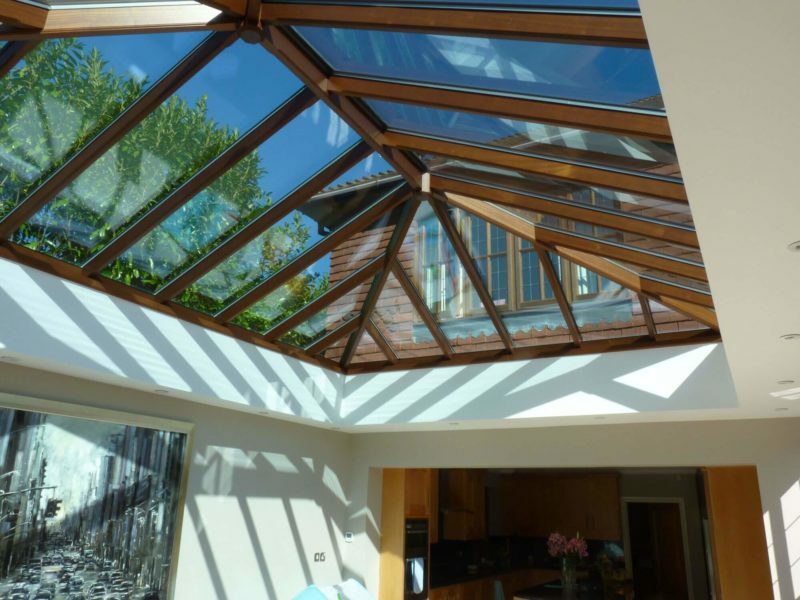 Our oak roof systems complement Orangeries and can also be used on flat-roofs and other roof types. The shape of your lantern is also customisable we can design and manufacture curved, architectural and hexagonal systems. 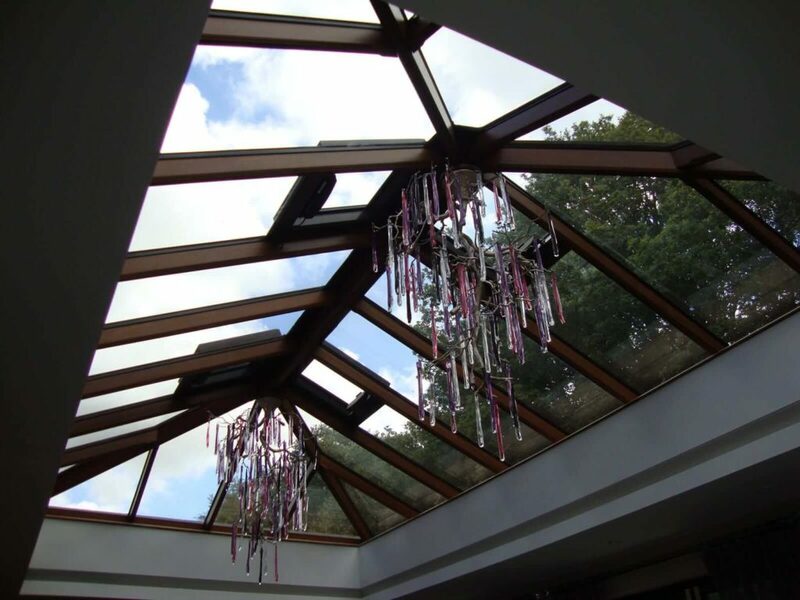 Lanterns can be supplied with fixed frames or without a frame (will allow for direct fitting to a kerb / cill). 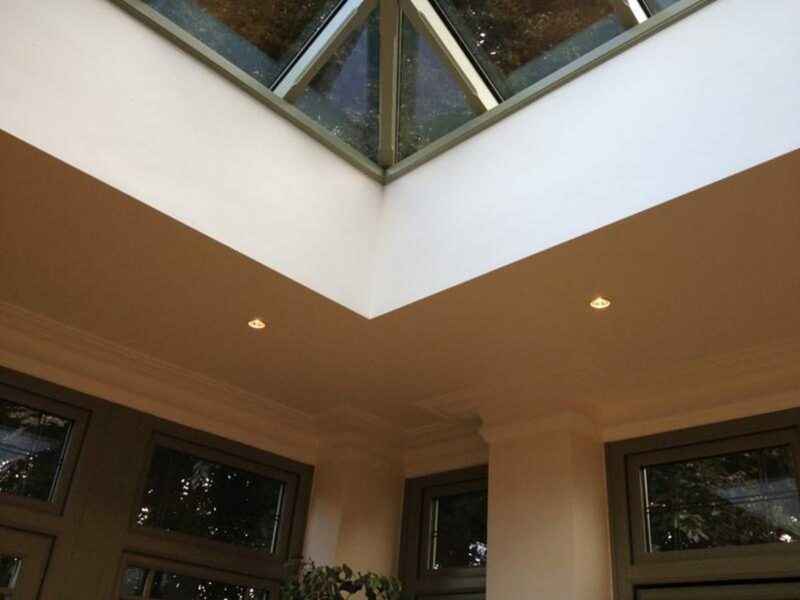 Whether you would like your Oak lantern in a standard primer or white paint or a different Oak stain why not look at our colour matching service? 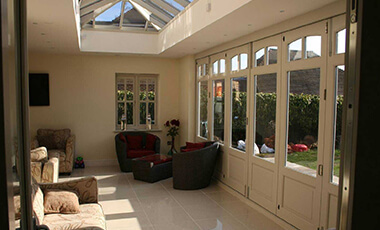 we can also provide a range of varying stains to suit your style palette. 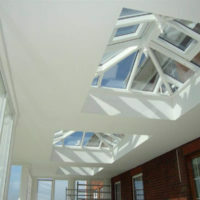 We can match to RAL / BS Colours. 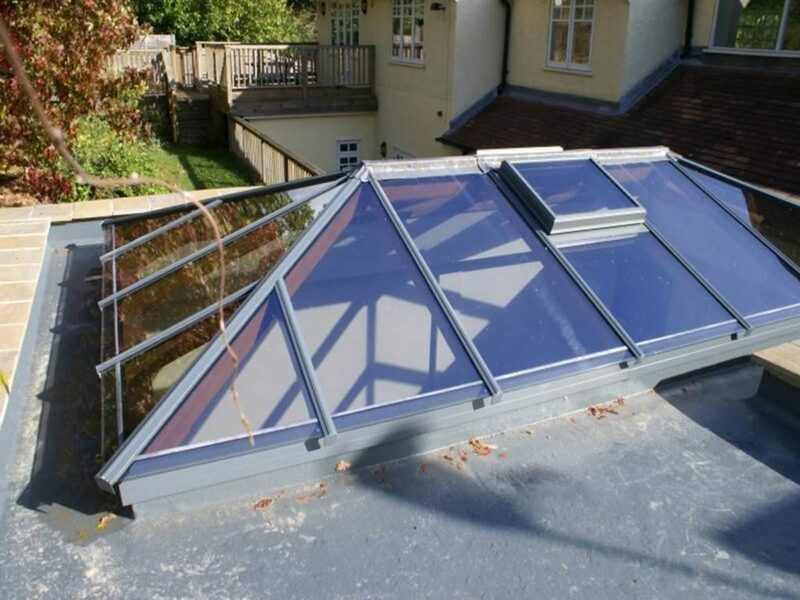 All lanterns are treated to provide additional weathering / damp / mould protection. 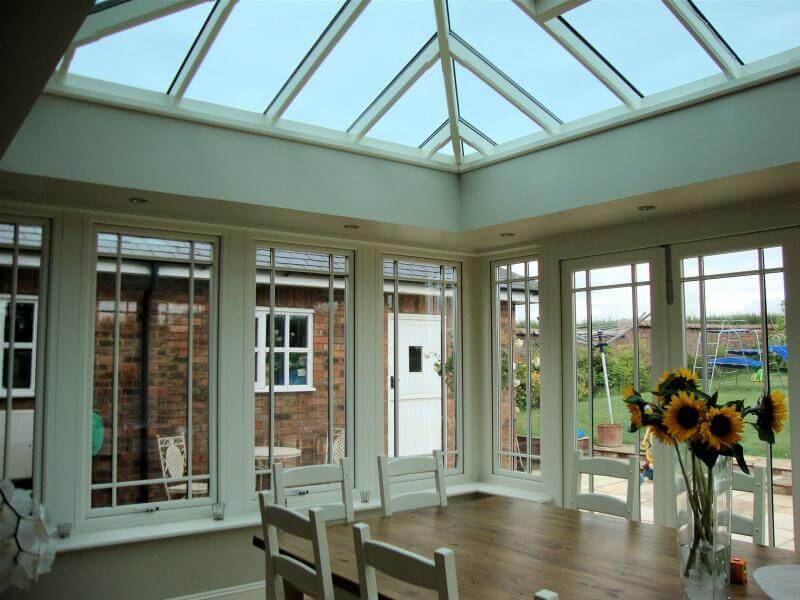 The specifications below apply to our standard oak lanterns, each lantern can be tailored to specific requirements. 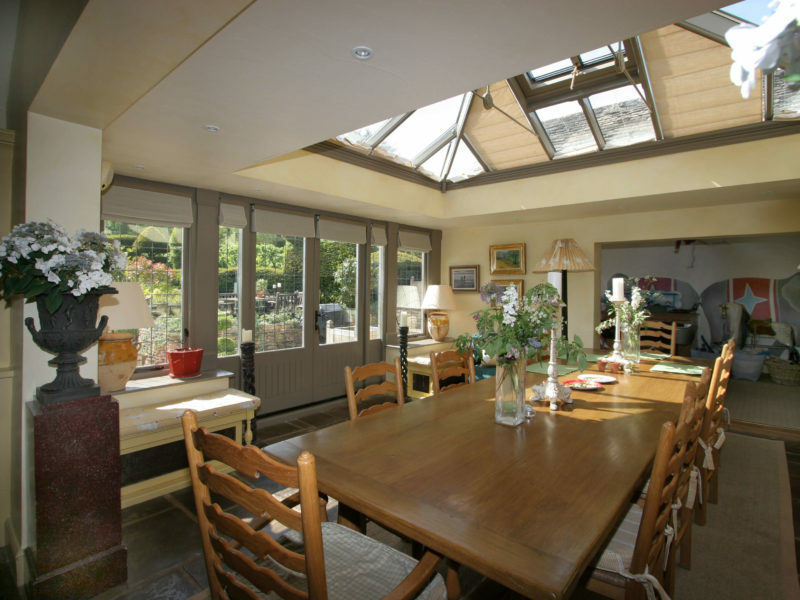 How are Oak Roof Lanterns Made? 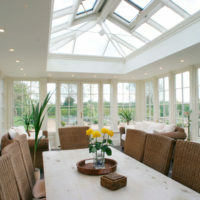 Your lantern will be made using premium oak in our joinery after undergoing planning and CAD diagrams. 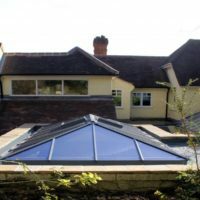 The CNC machinery we use will manufacture to the exact MM ensuring your product is easy to assemble and meets the exact requirements at the outset. 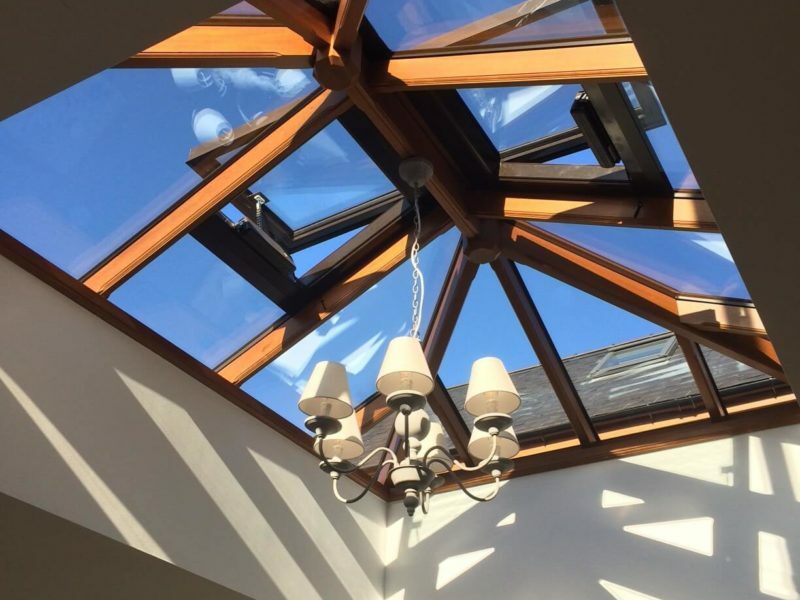 Once the oak lantern has been manufactured, it’ll go through various refinery stages with our expert craftsmen team who will deal with the additional configuration and design of the lantern. 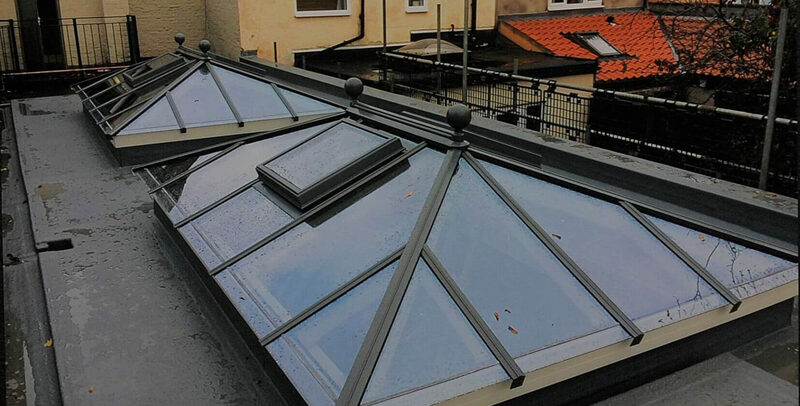 Once the lantern has been completed, it will be sent to our internal paint shop to be treated and painted using ultra high-quality farrow and ball microporous paints. 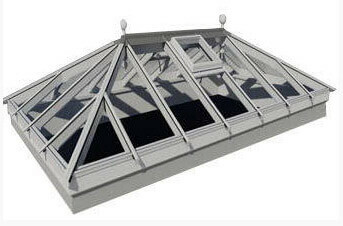 Our traditional roof lanterns are made using advanced manufacturing processes, but first, our designers / architectural and structural engineers construct the lantern in 3D using CAD to calculate structural integrity based on the features of the lantern. 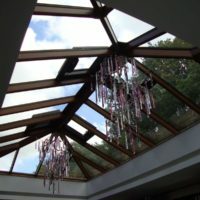 Once the lantern design has been approved the manufacturing process begins. 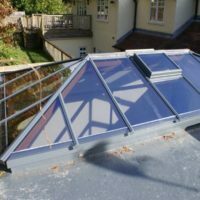 When the lantern has been completed and is ready to send out it is carefully wrapped and protected so that on delivery and installation no further painting is required. 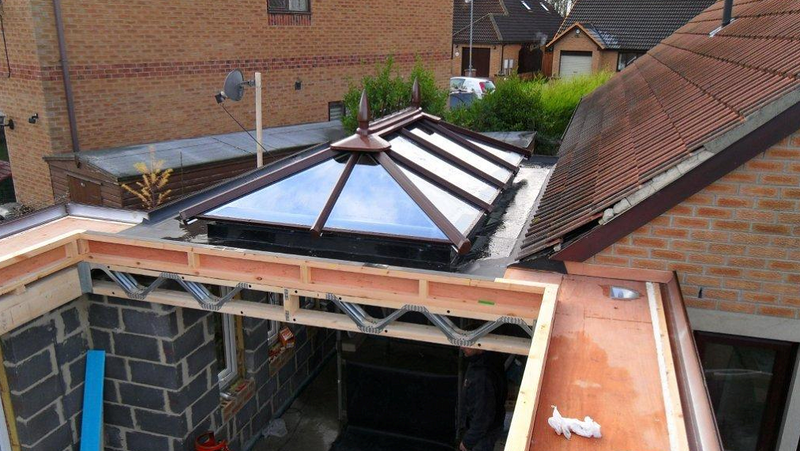 Traditional roof lanterns are a rooftop architectural structure that allow light to flood into a property. 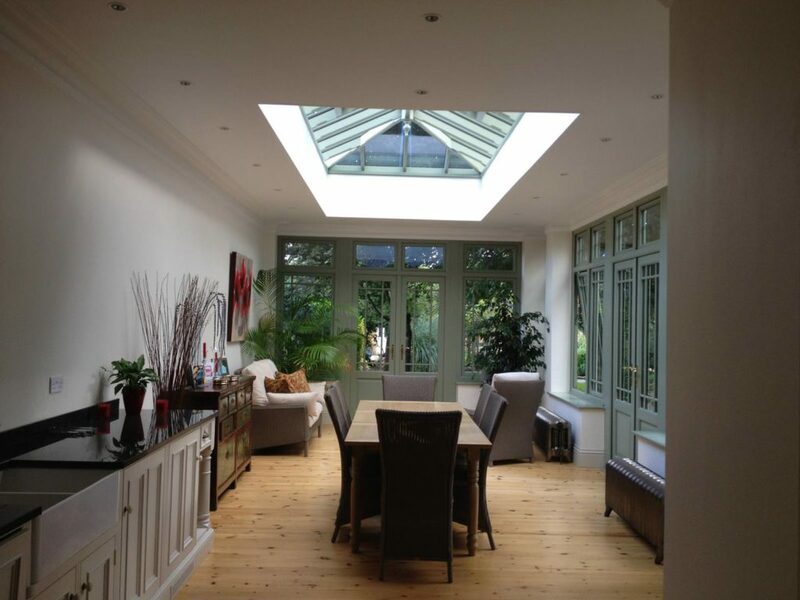 While some refer to them as timber roof lanterns, others name them wooden skylights. 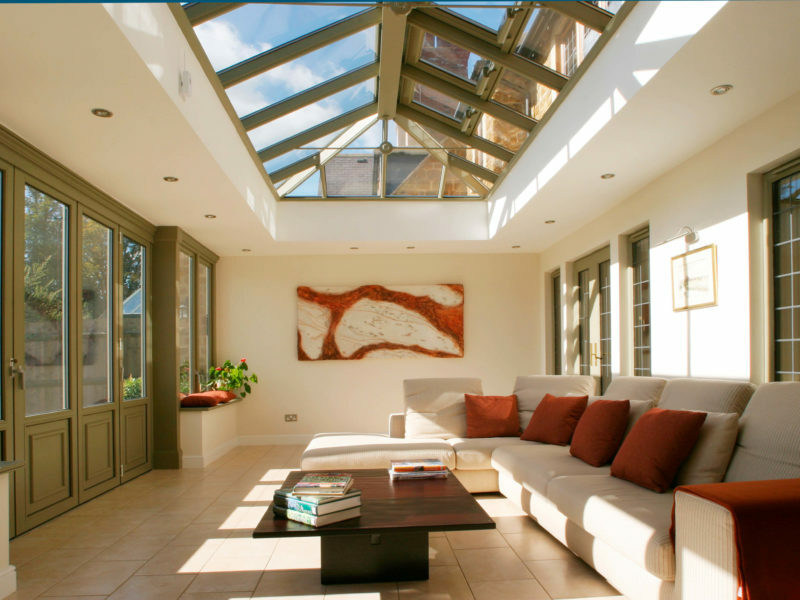 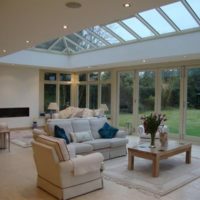 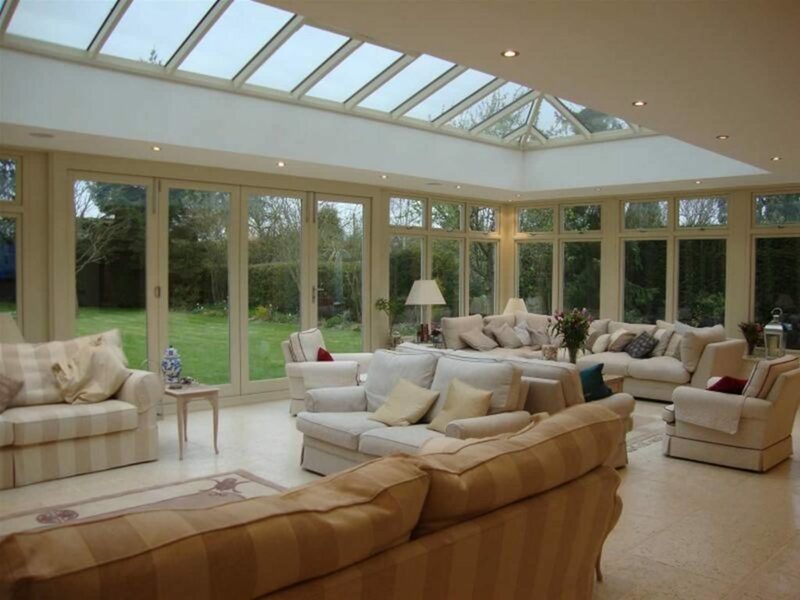 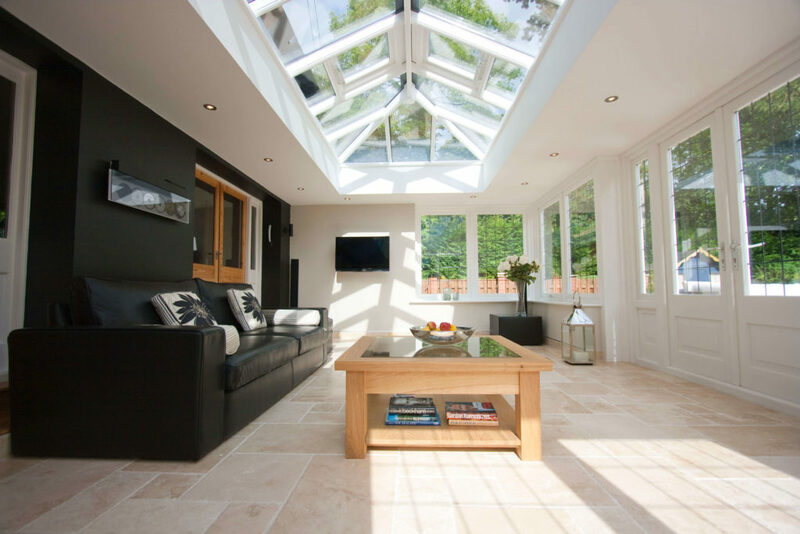 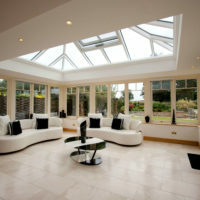 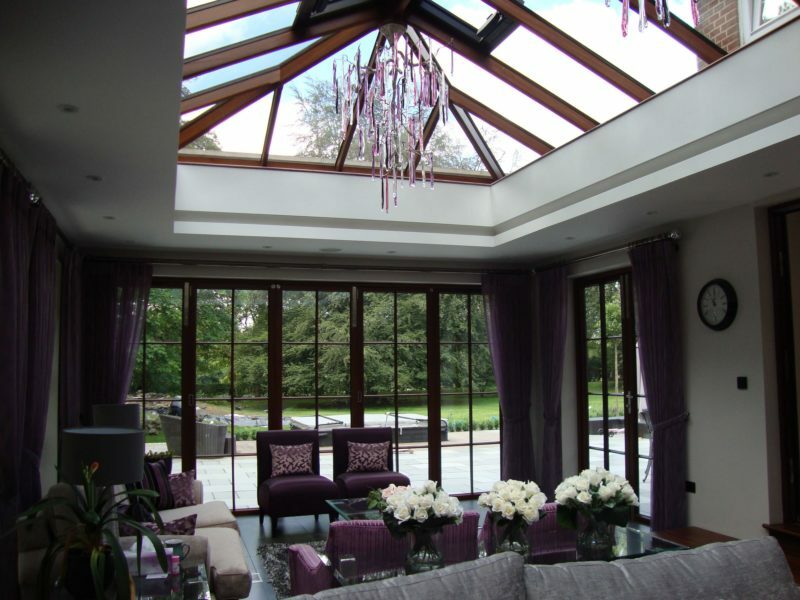 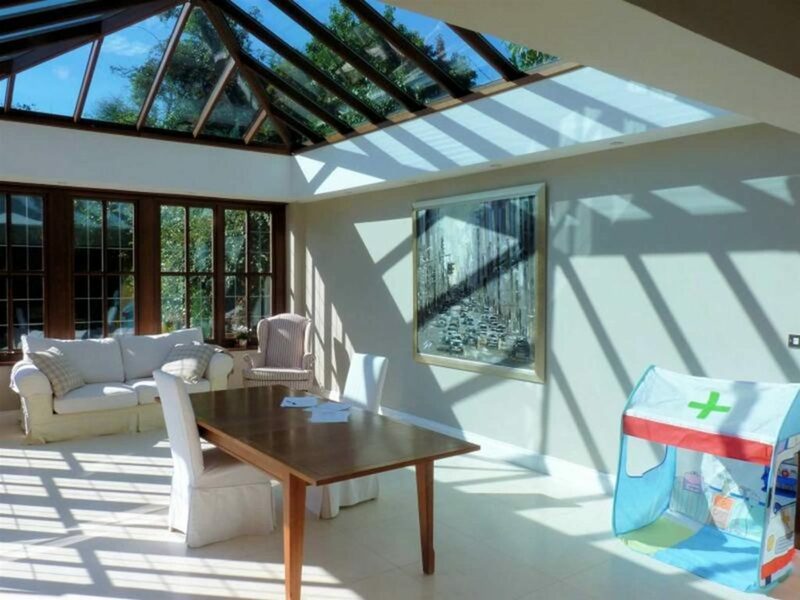 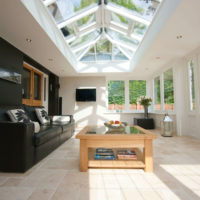 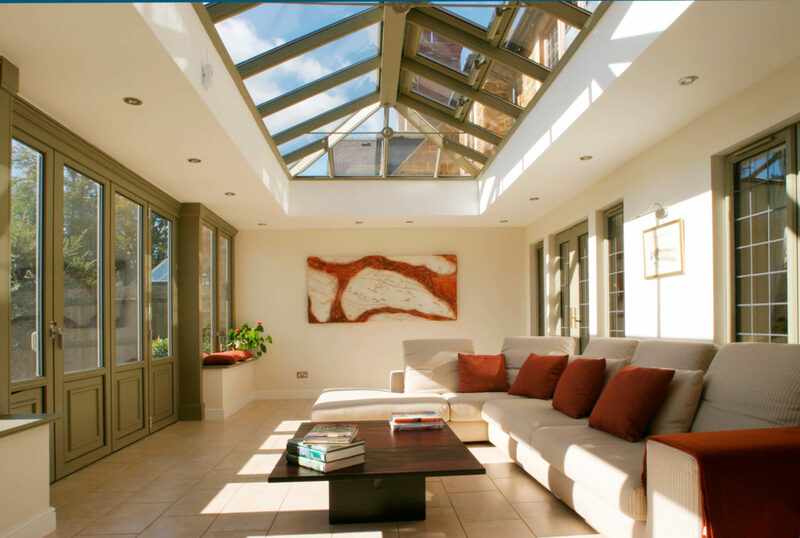 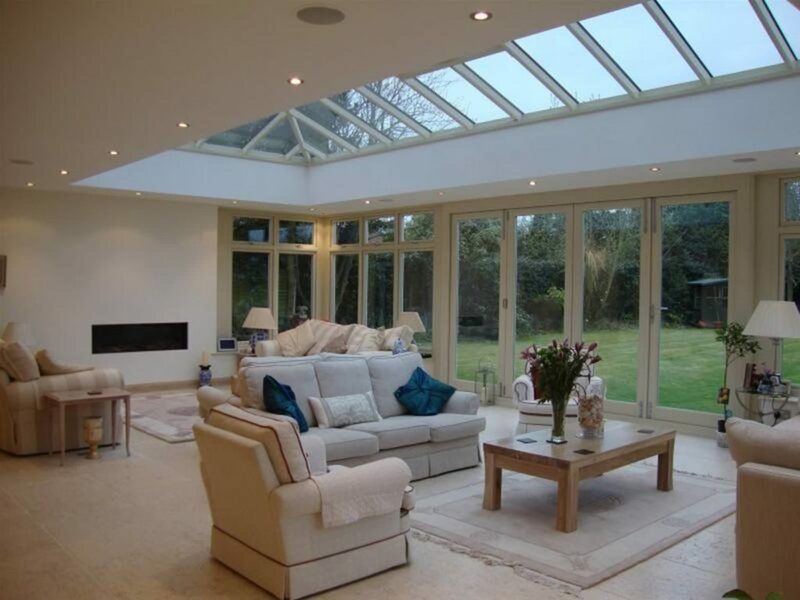 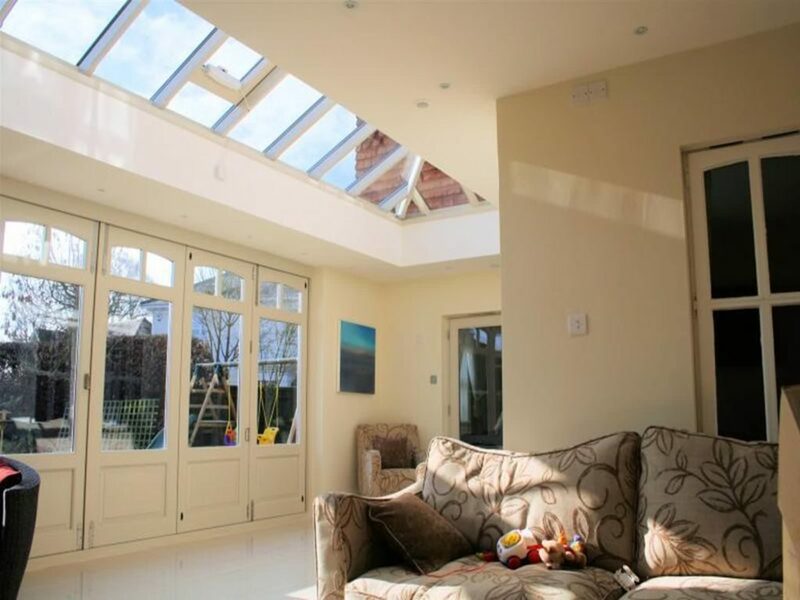 Typically, hardwood roof lanterns can be seen as part of the structure of orangeries and conservatories in modern architecture although they’re usually incorporated into a contemporary design, particularly in bigger properties where the middle of the house is lacking in natural light. 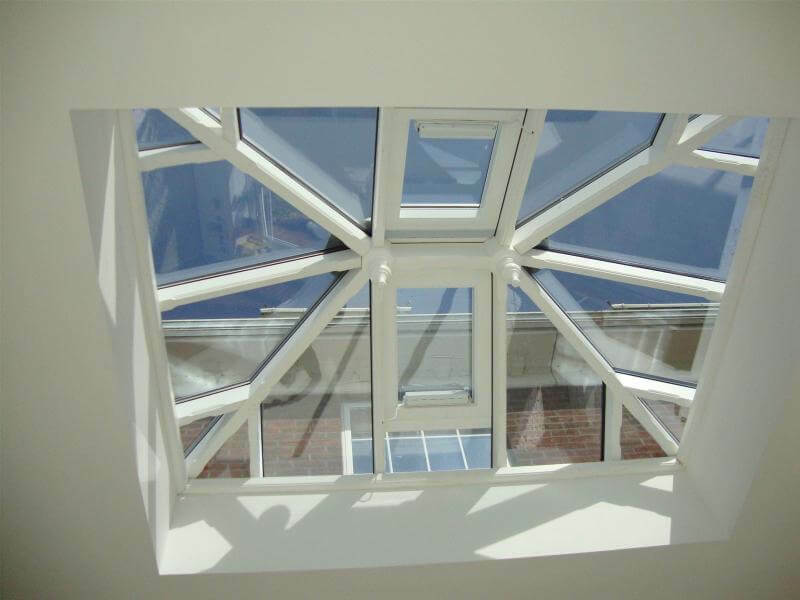 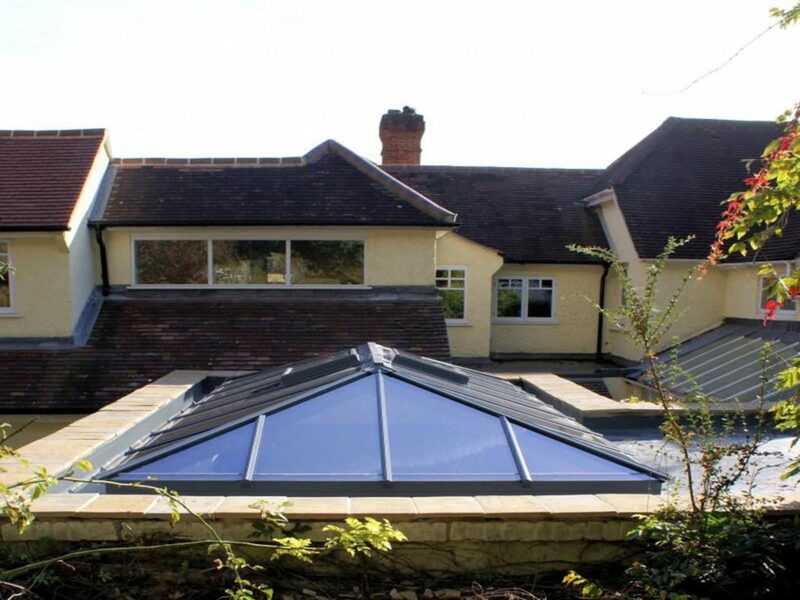 Roof lanterns are a functional part of a home, as they allow natural light in where it would otherwise be difficult to integrate into a home or commercial property. 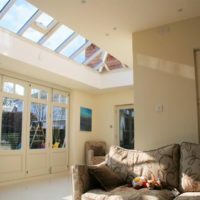 The more light that enters a room, the less likely a person is to suffer from issues like seasonal affective disorder or depression. 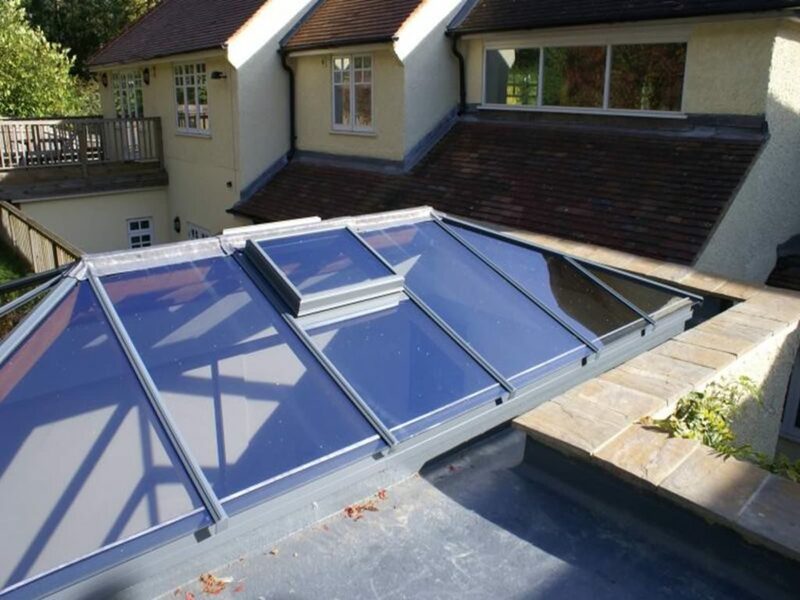 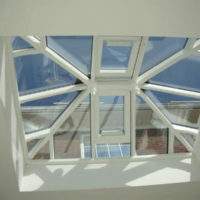 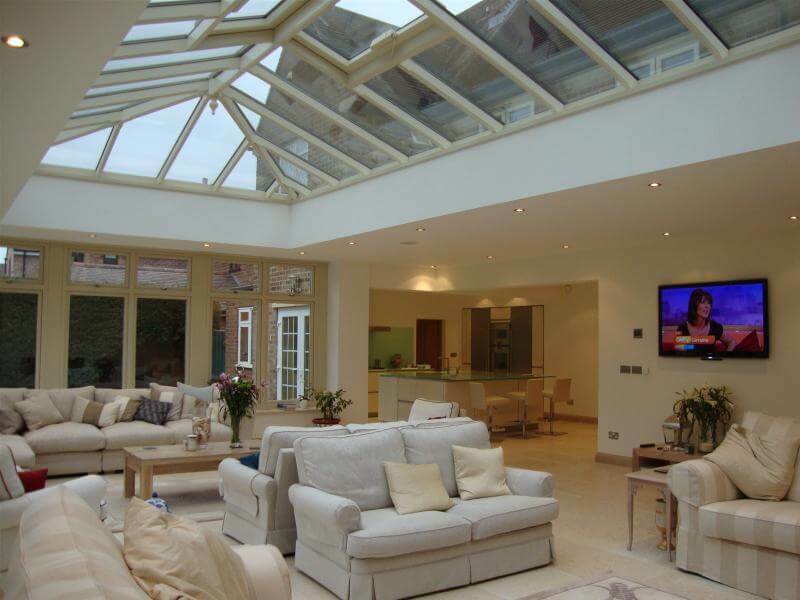 Roof lantern skylights, if strategically fitted, can cut electricity bills down, especially in the summer months. 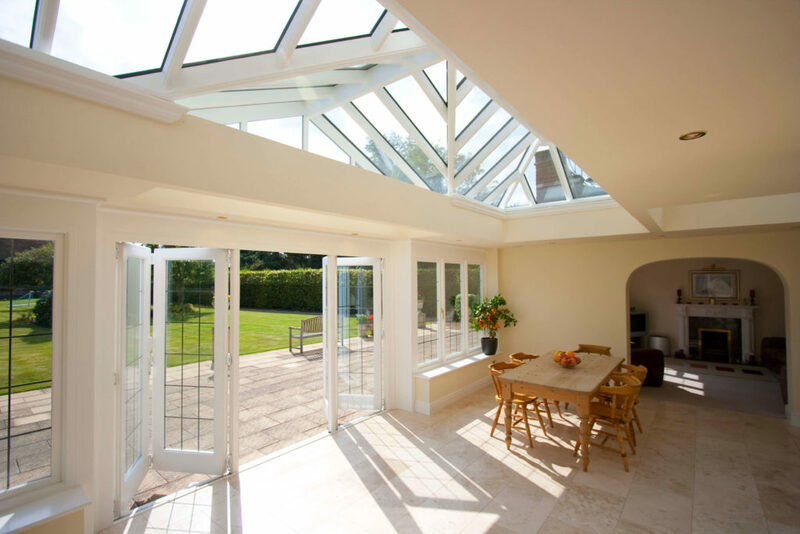 Also, these structures offer full privacy, particularly when properties are built in close proximity to each other. 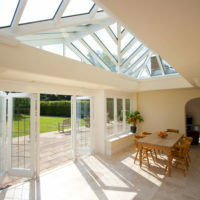 They enable homeowners and workers to enjoy natural light streaming in without compromising on their privacy. 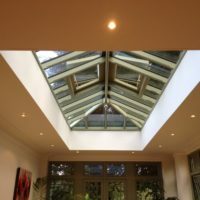 Another benefit of roof lantern lights is their ability to ventilate a room since they normally have two panels which open much like a window. 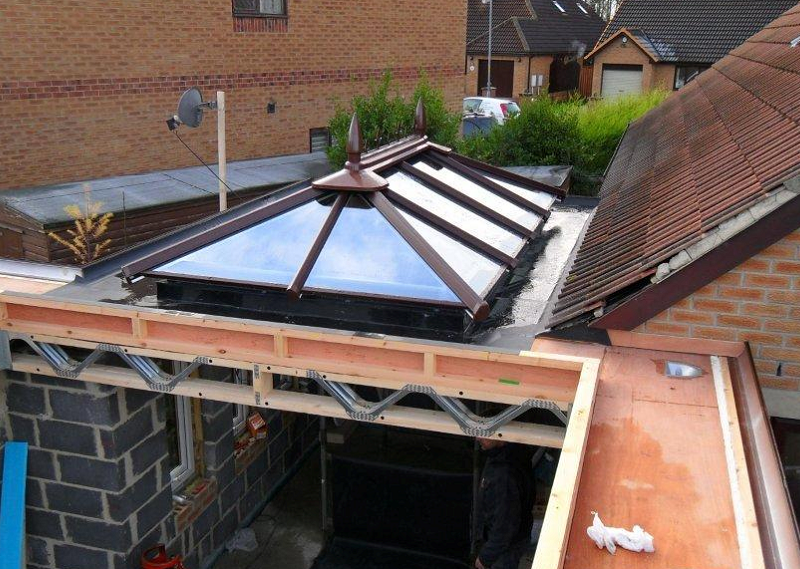 Coming from above, fumes from the street aren’t being blown directly into a property. 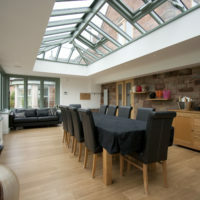 How much do Roof Lanterns cost in Oak? 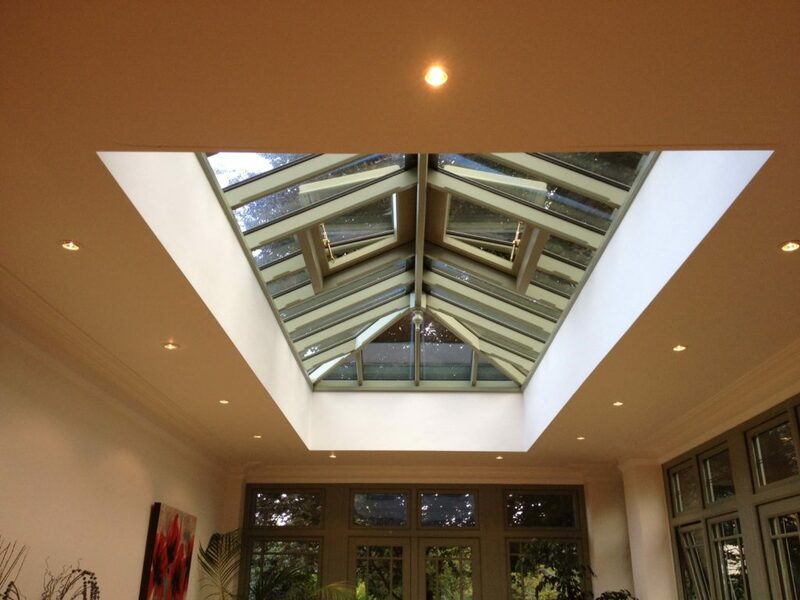 Prices for Oak Roof Lanterns depend entirely on the specifications (size, style, options, colour). 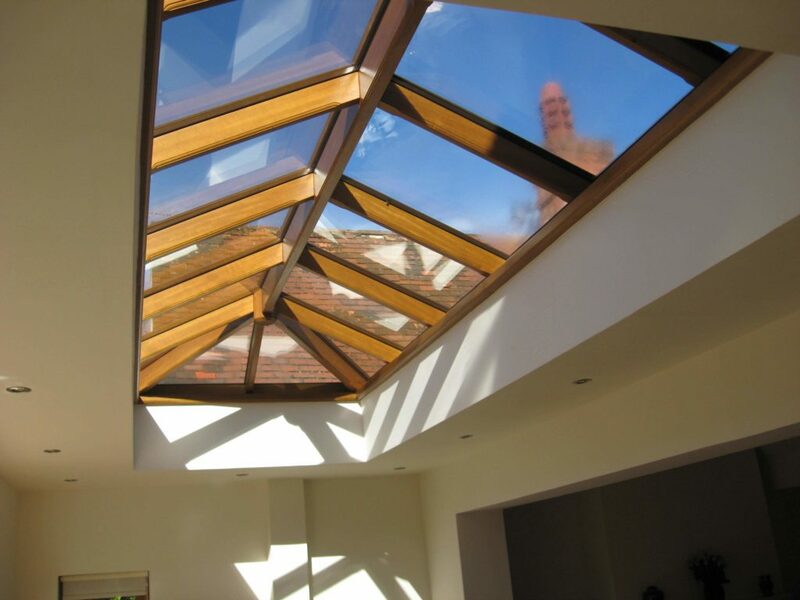 Oak Roof Lanterns tend to be more expensive than timber counterparts given that Oak is a more premium hardwood. 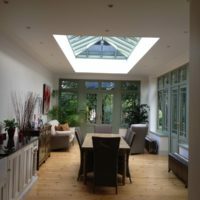 To get a cost quote for an oak roof lantern please fill out the quote form above. 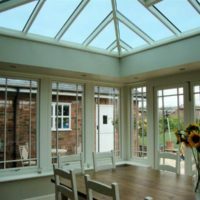 Following your enquiry a member of the team may call or e-mail you for further clarification subject to the information you provide. 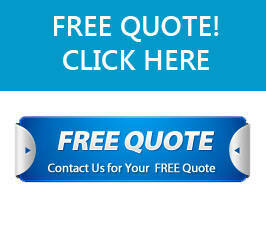 From this a quote can be generated and provided to you by e-mail or over the phone. 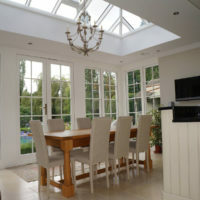 If you decide to proceed a member of the team will discuss in more detail what it is you require. 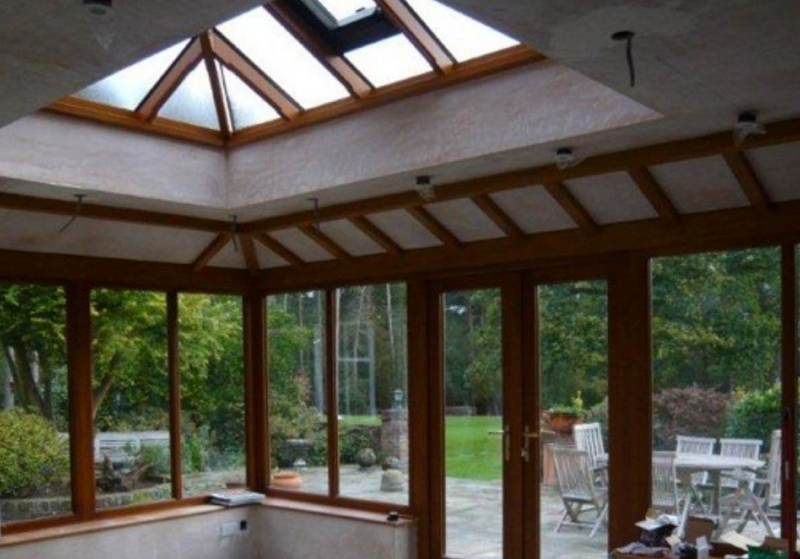 If you have any drawings at this point they may be requested, if you’ve not had any drawings then we’ll look to proceed with the design stage. 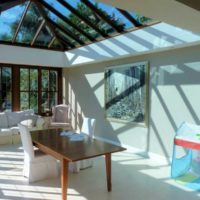 Alternatively you can provide examples of a lantern type and style that you are looking for by referencing any gallery images. 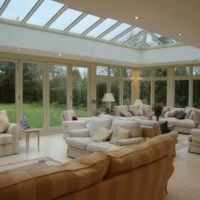 Lead times vary, please consult a member of our team. 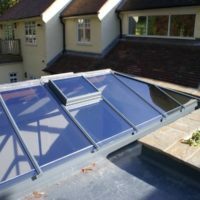 Installation is optional, additional charges may apply. 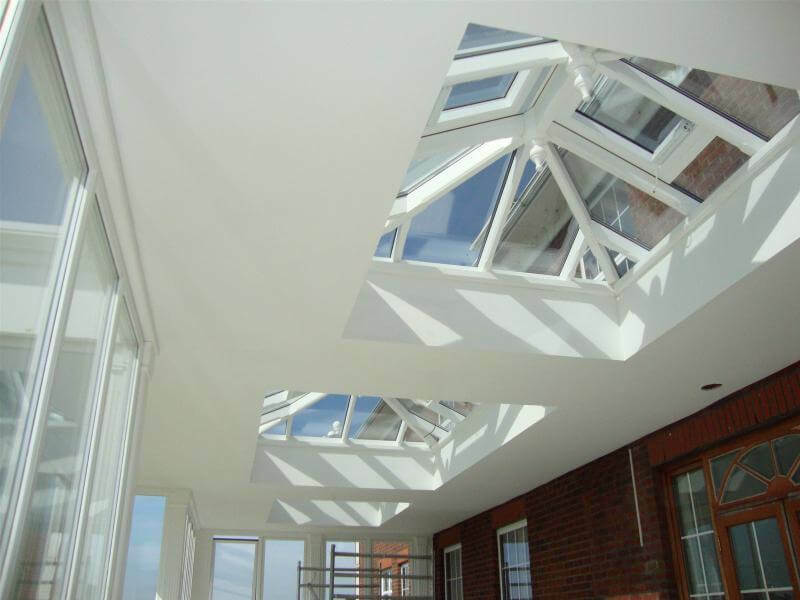 Your product can come in a wide variety of sizes and shapes; we provide all standard and non-standard sizes from 750 x 750 to 5000 x 5000 onwards. 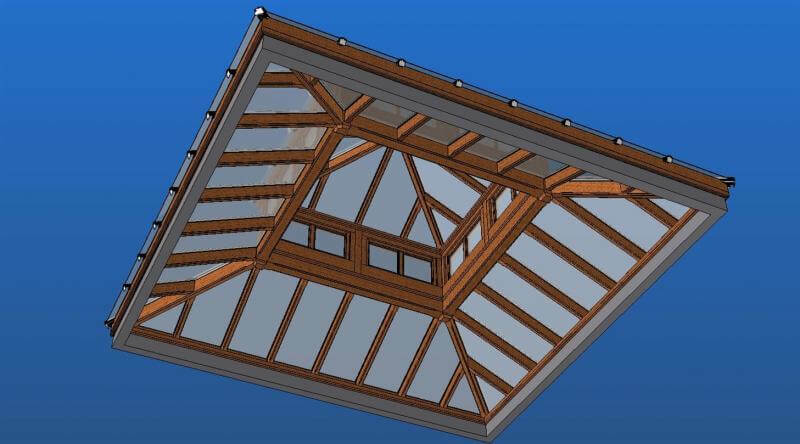 We make lanterns to measure, so if your oak roof lantern has to be a set size for a project or to fit an existing structure then we can help.